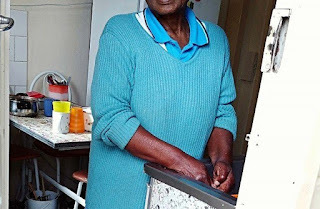 A 48-year-old Zim man in the habit of peeing all over the house, after drinking bouts has been disowned by his aged mother who revealed that she was fed up with his improper behaviour. Selina Ncube was left with no choice but to cut ties with her troublesome last born son Thembinkosi Masuku as he acts irresponsibly each time he has one too many beers. “I have tried to be patient with my son, but cannot tolerate his behaviour anymore. He developed a bad habit of urinating all over the house including in blankets. “I am very old and no longer have enough energy to clean his dirt and wash blankets therefore, the better thing is for him to move out of my house. “At 48, he still behaves like a child and I have told him many times to quit beer but he never listened,” said Ncube. She further revealed that efforts to engage his other siblings and friends were fruitless as Masuku never took their advice seriously. “I sometimes locked him out of the house so he would not urinate in the house, but still it never helped because the day he found doors unlocked he did the same thing. “He also insults me and I am really fed up,” said Ncube. In response, Masuku confirmed reports attributing his bad behaviour to his condition of fits. “I do not dispute that I trouble my mother, but I am of ill health and most of the things I do it’s because of fits,” he said. The presiding magistrate Tancy Dube ordered Masuku to move out of his mother’s house saying the fits condition had never caused anyone to misbehave and disrespect elders.